Toyota-Suzuki badged Ciaz is scheduled for the Indian market, which will fall in the same price of Yaris. Rumours suggest that the it might replace Yaris. As we know, Toyota-Suzuki partnership will give us some new models including a sedan, a sub-4-metre SUV, a premium hatchback and an MPV. The upcoming products will be Toyota badged versions of Ciaz, Baleno, Vitara Brezza and Ertiga. What caught our attention was the Toyota-Suzuki badged Ciaz. Currently, Toyota Yaris goes against the likes of Maruti Ciaz, both priced under Rs 15 Lakhs. Ciaz is more affordable of the both. Toyota launched the Yaris last year, as a premium alternative to the Etios. It is one of the most feature equipped models in its segment, but still barely manages to make healthy monthly sales. Also Read: Neither Rush, nor CH-R, Toyota could launch an all-new SUV in India! For the month of February 2019, only 350 units of Yaris were sold. Even in the month of its launch, only 1500 units were sold, as opposed to the monthly sales of Ciaz, which goes up to 3000 units. 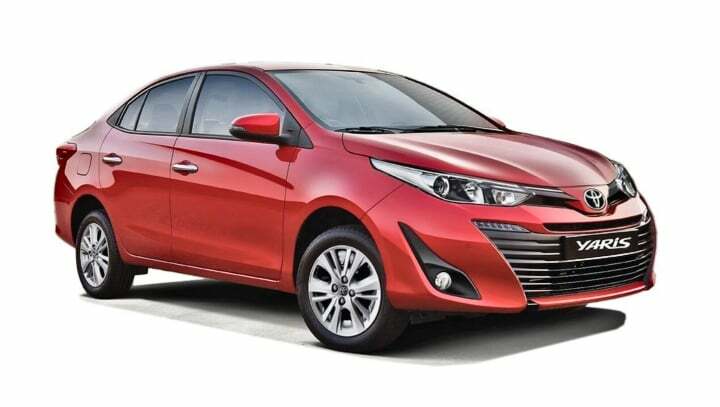 Rumours suggest that the Toyota-Suzuki badged Ciaz might replace Yaris, once it is launched. However, the launch is nearly 4 years away from now. Till that time, Yaris might need major updated too. The first model from the partnership will be Toyota-badged Baleno. It will be launched as a more premium hatchback than the Etios Liva, which is one of the least selling models in its segment. The Toyota-Suzuki badged Ciaz will get different styling characteristics and a completely distinctive silhouette. The platform will be the same and the engine specifications might be the same too. On the other hand, Toyota will start providing the Corolla Altis to Suzuki post 2021, for the global as well as Indian markets. The European market will get Suzuki EVs based on Rav4 and Corolla. As per the partnership, Suzuki will supply small engines to Toyota and the latter will supply hybrid technologies. Both the companies will also exchange some of their models. Toyota has confirmed that the production of their baded version of Vitara Brezza will commence in 2022. The Toyota badged MPV will be more premium than the regular Ertiga.